Here’s my next easy-do-do, fun-for-all swap! This is open to all members, regardless of your age, post count or feedback (or lack thereof). Internationals welcome as well! Please consider joining if you’d like to generate feedback or more importantly, have fun with your fellow board members. We will be swapping Christmas and Holiday cards! You can chose to make your own cards or purchase cards from the store (but just think how FUN it will be to make your own cards though,and how your trade partner will cherish that personal touch!) You may be thinking, “Oh, but I don’t draw.” No problem! How about a collage using stickers or cut outs or rubber stamps? There’s tonnes of ways to make homemade cards. I have absolute faith that you all are extremely talented and can come up with amazing ideas to make beautiful cards! I'll catch stars to use as glitter! Sign up is easy. I’ll need your name, address and the amount of partners you wish to have. I am putting a limit of three on this, to assure that you have the time you need to get your cards ready and mailed. Partners will be assigned by random match up. If you feel brave enough to go for more than three, please PM me. Be sure to write your pal a nice little holiday greeting, to fill them with the warmth of the season! Let's hurry to the mailbox to see if we get a card! Sign ups open until November 25. I will assign partners by November 26 (just a day for me to work with in case I’m abducted by aliens again). Cards should be mailed out by December 15. International members (or those mailing out of the States) might want to mail out a few days earlier to allow for delays. I know this is a short window, but I think we can get 'er done. We will be fueled with Christmas Spirit! And EGGNOG! So c’mon and join the fun! Sign ups are open! OoooooOOOOOooooooo! I'll think on this one! Great idea, foofoo! I know I know (Tula has a question). Can you picture me back in the day...hand raised? 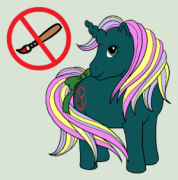 LOL Can we do anything we want or will we be having to go by a wanted list of ponies? How big does the card need to be? These are excellent questions and you will get a gold star. Can we make the cards out of anything we want or does it have to be cardstock? Your cards may be made of any media you wish! Cardstock, felt, you name it! I would like to join but I don't have the best crafting skills! Is it ok just to use stickers and some glitter?! Absolutely! Stickers, cut outs, whatever you fancy. Do join in! I am going to join. WHOOOHOOO! We'se gettin' serious now, PonyPeoples! Wait.... CJ is confused. 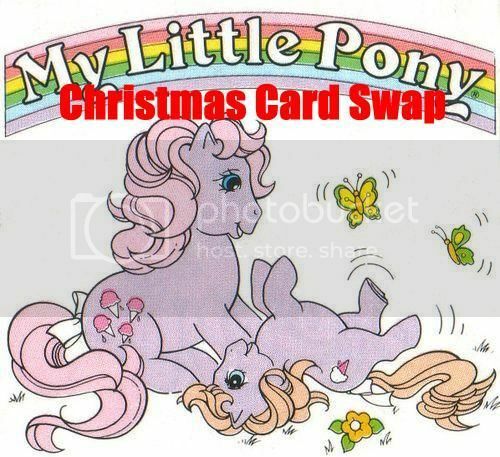 Are you supposed to make PONY related Christmas cards, or can they just be "normal" Christmas cards? 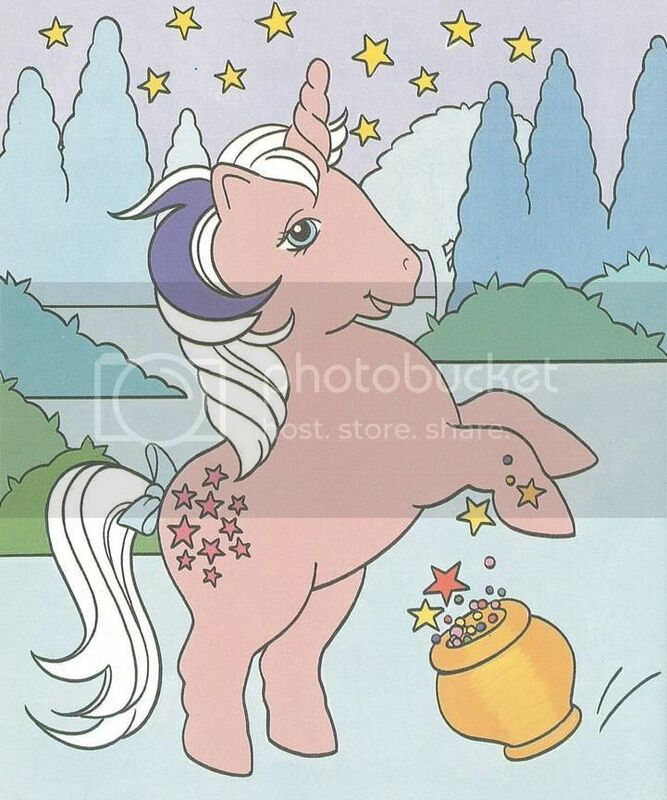 I am going with pony related Christmas cards myself. 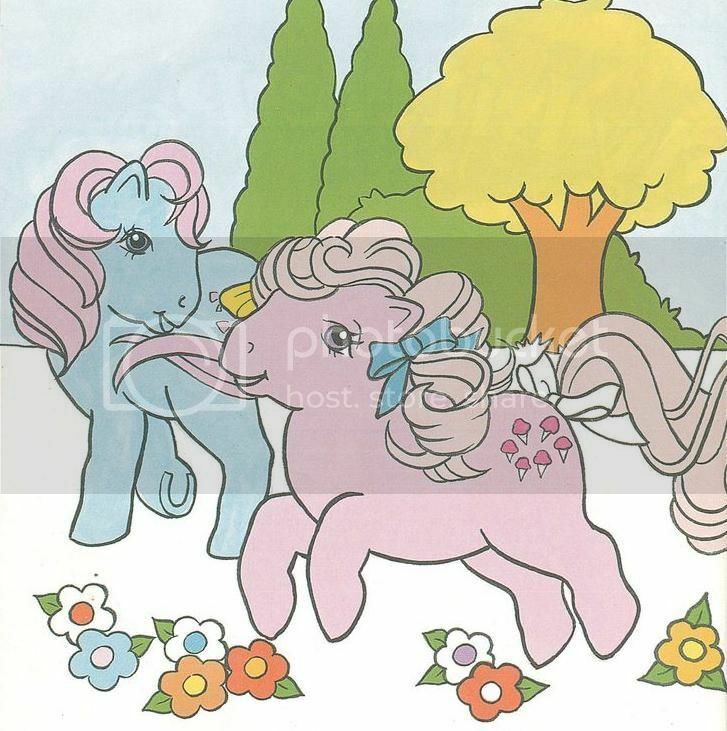 They can be Normal Pony Types, Flying Pony Types, Magic Pony Types or Water Pony Types. But no Fire or Electric Types. They haven't invented those yet. Oh wow I want a Fire pony card and an Electric Type card!! Snap Crackle Pop Rice Krispie Pony! I think if you'd like to make normal cards that's okay too! We're wanting to spread cheer!